Like it or not, money launderers are major players in the world's economy. Their strategies constrain national economic policies and undermine financial institutions. With the advent of secure transfer technologies, and with the help of modern financial theories of derivatives and leverage, money laundering has become a significant structural component in contemporary geopolitics. This penetrating and thorough analysis focuses on control: how the problem is handled by legislation and regulatory and law enforcement agencies (particularly in the US and the EU), what the daunting challenges are that must be faced, what more can be attempted. 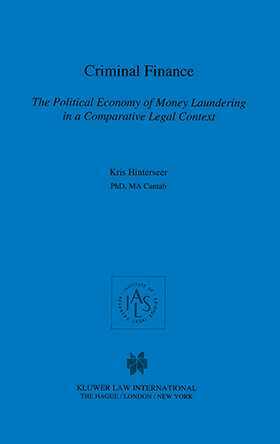 In the course of developing in-depth consideration of the numerous intertwining issues that arise, the author uncovers a wealth of precise detail about what we know and what we can reasonably surmise about patterns of money laundering activity. the global rise of new criminal organisations.